Rob Rowe is just as much at home in the sky as he is on the ground. 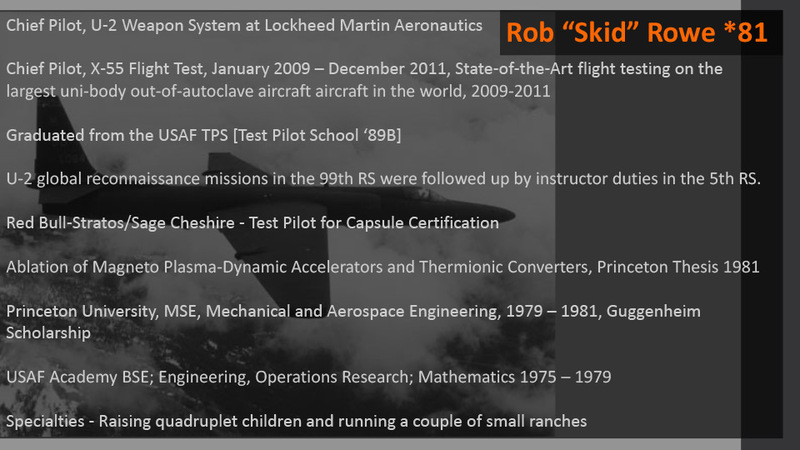 Rob has had a distinguished career flying reconnaissance missions, as a military test pilot and as an instructor. He was also chosen to test the Red Bull-Stratos Capsule, which lifted Felix Baumgartner into space for his historic 24-mile free-fall to Earth at an estimated speed of Mach 1.25 (843 mph), breaking the sound barrier. 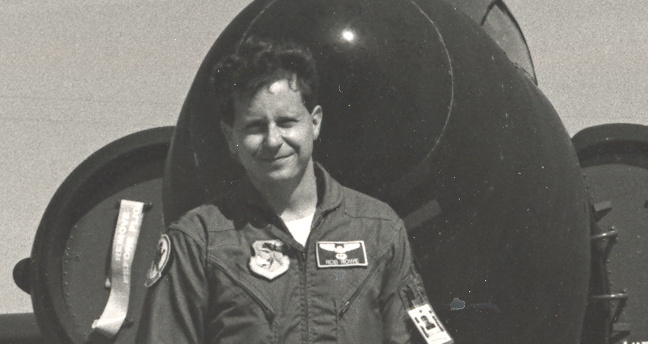 Rob has agreed to come down to Earth to give a talk Sunday, September 14th at the Museum of Flying. The event is open to all museum patrons, and Rob will join fellow Princeton alums afterwards for wine and cheese. For all of you wondering about the future of drone aircraft, Rob is sure to have some fascinating insights, as his beloved U-2 Dragon Lady is being targeted for replacement by drones such as Northrop Grumman’s unmanned Global Hawk.